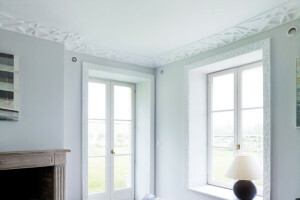 Crown molding is a visual treat that adds a touch of elegance. 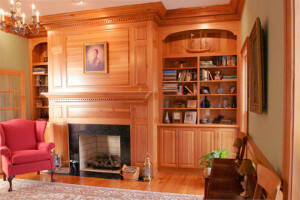 Crown moldings made of wood come in hundreds of profiles and can be stained, painted, or left natural. Because wood tends to expand and contract with changes in humidity, use flexible caulk at joints and seams. Not all crown moldings look like they came from ancient Greece; these jazzed-up plaster moldings are completely contemporary. In rooms with ceilings 8 feet high or less, the upper portion of your crown molding (along the ceiling) should be longer than the bottom (along the wall). 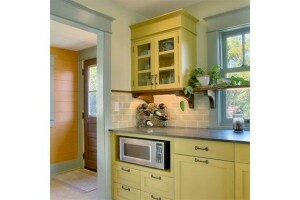 The three-piece crown molding on this upper kitchen cabinet matches the classic Shaker-style motif of the door casing. It’s an easy DIY project featuring a slim piece of simple trim and a plain flat board topped with a 2-inch-wide piece of fluted crown. 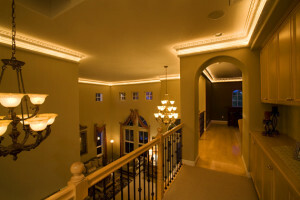 Lighted crown moldings add a soft, ambient glow and are sure-fire conversation starters. The two-piece system has lights in the lower molding that project upward, illuminating the upper piece. Got a room with a curve? That’s no problem for flexible polyurethane crown molding that’ll conform to just about any shape. It’s lightweight, and accepts paints and stains. 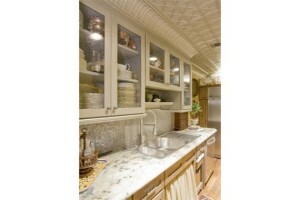 Made for use with stamped metal ceiling panels, crown molding made of tin or aluminum is lightweight and easy to cut. Pre-formed corners eliminate the need for complex miters, so a handy DIYer can tackle installation. Want to run new wiring in your house but balk at the thought of ripping out drywall? Let crown molding come to the rescue. 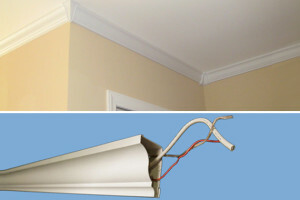 Hollow PVC crown molding is an inexpensive way to hide cable, audio, and communication wires in any room. Lightweight polyurethane crown moldings are easy to install. You can cut and nail them like wood, but they won’t split or crack. Most come with a factory-applied primer finish and are ready to paint. If you like making eco-conscious choices for your home, try crown molding made from reclaimed timbers. 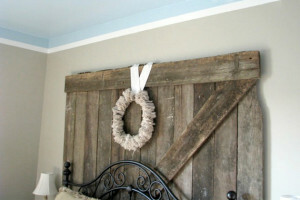 Using salvaged materials means no new timber is harvested, and keeps old building products out of landfills. White duct tape covers the line where the blue ceiling paint meets the beige wall color, creating an inexpensive multi-layered crown molding effect. Bringing ceiling paint color down along the walls helps make tall walls look shorter.